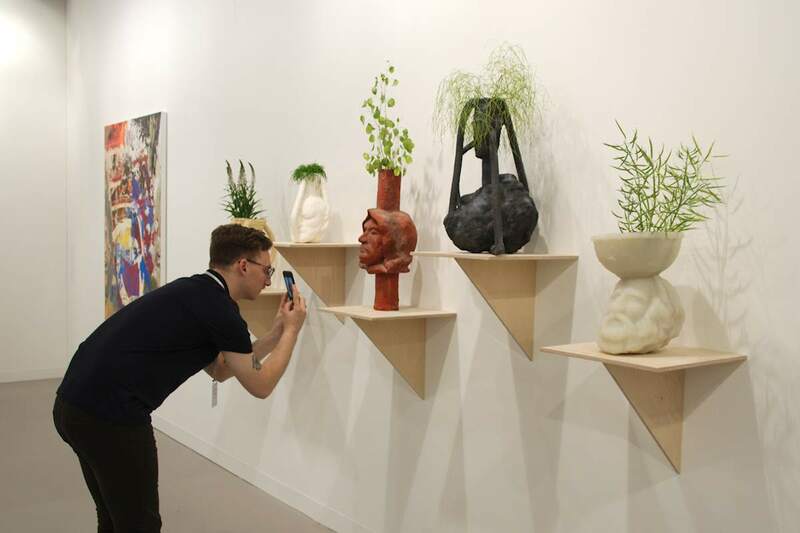 Art Basel is open to the public now, and there’s still a lot going on around the main fair. 18-22: Opening & Garden Party at SALTS, Birsfelden. Celebrating the opening of the solo shows by Mexican artist Rodrigo Hernandez, Palestinian artist Jumana Manna, and British-Punjabi artist Bhanu Kapil. 19:00: Shuttle bus leaving from Art Basel shuttle bus strop at Isteinerstrasse (walk between halls 1 and 2 until you reach the end of hall 2) to the Garden Party at CRAC Alsace, in honor of the opening of the solo exhibition by Armando Andrade Tudela, curated by CRAC Alsace director Elfi Turpin. The bus will return at 22:30. 19:00: Vernssage of Hütet das Maultier! (Hold the mule!) group exhibition at Flatterschaft project space, Solothurnerstrasse 4 in Basel. 20:00: A premiere at HeK Haus der Elektronischen Künste Basel! Award Ceremony of Pax Art Award, a prize for digital art, claiming to be the first of its kind.